England's batting coach, Graham Thorpe believes English batsmen need a new way of picking Kuldeep Yadav in their upcoming match against India. 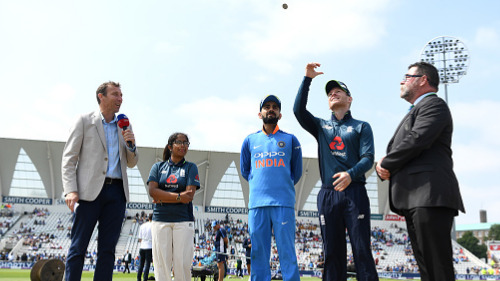 Thorpe admits England needs to improve their method while playing against Indian spinner Kuldeep Yadav following his unprecedented performance in the first ODI at Trent Bridge. 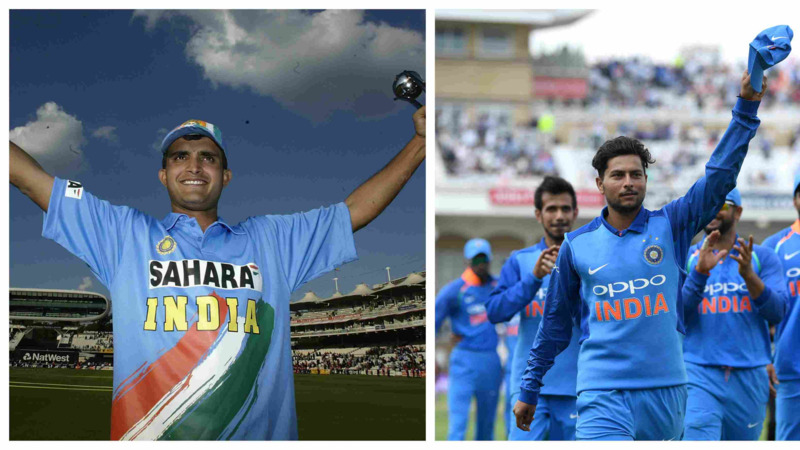 Yadav's six-wicket haul against England made him the first left-arm wrist spinner to take 6 wickets in a One-Day International match. England batting coach, Thorpe feels his top order batsmen Jonny Bairstow, Jason Roy and Joe Root needs to focus on how to read Kuldeep's googly. In the first ODI match, Yadav made it impossible for England batsmen to stay at the crease because of which they were all bowled on 268. "From what I'm hearing with my chats with them [the batsmen], it's not like they can't pick him -- so for me, that's important," Thorpe said after the eight-wicket defeat by India at Trent Bridge. "It's about looking at it logically and then working out a method of playing him. It's more of the mental side. Also about being proactive with our movements at the crease against him so if you don't pick him, you're still in a good position to play him." 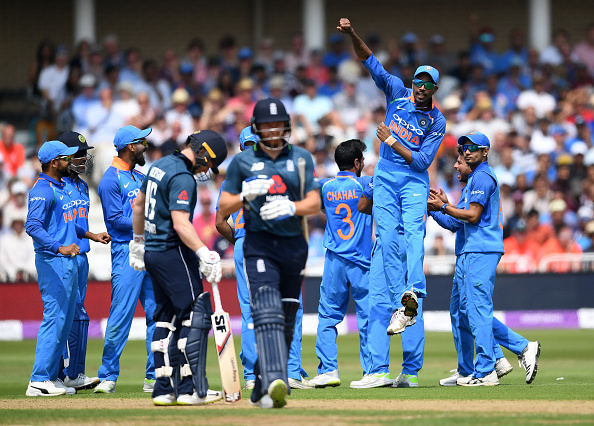 England responded well after the first T20I match at Old Trafford as Kuldeep went wicketless in the next match in Cardiff, and Thorpe knows his batsmen will have to do something similar if England are to pull things back in the second ODI at Lord's on Saturday. There aren't many left-arm wrist-spinners about and England will hope that the more they play Kuldeep, the easier things become. "We responded well in the 20-over game and we've got to respond well in the 50-over games," Thorpe said. "It's important not to over panic. Our guys who have spent time at the crease against him have come back and said this is happening and that's happening. You do need to manoeuvre the ball around. And also having the ability to play the bigger shots against him. "Maybe we handed it a little bit to him. He got three wickets in 11 balls, his tail is then up. I talk about a low-risk way but it's about scoring runs in a low-risk way. Once you build up a position when he's [been] kept out of the game a little bit longer, he feels under pressure to take wickets. "The one thing about him playing is that you start to formulate plans. The more you face the trajectory, the flight, the speed of the ball, they're the things you pick up on. You've also got to set-up as player against it; your method, your footwork, your position on the crease. "You have to react quite quickly, especially in one-day cricket when you're always looking for opportunities to score. He shut us down and you have to give him credit. It's up to us and our players to keep an open mind, accept it's happened but we've got to turn it around pretty quick as we are playing again on Saturday." "It reminds you of your development against spin bowling and that's something we will continue to look at," he said. "Teams we play against, when the ball turns, we are going to have to have good plans and cope. "You need clarity and it's a good reminder to the team about constantly looking to improve. We've done some really good things [in ODI cricket]. We know India are going to be a massive challenge for us. It's another good reminder of the levels we need to be at all the time if we are to beat the best." "Joe is probably going through one of those periods in his career over the last month and a half where he hasn't spent as much time at the crease as he has in the last four years," he said. "He's been a brilliant player for England. We probably have to cut him a little bit of slack, support him and encourage him. Sometimes you have to accept what's going on. He just needs a break in the middle and a score." Graham Thorpe concluded.